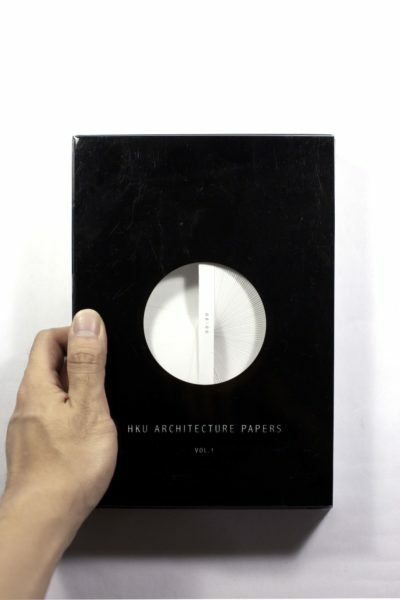 This book celebrates 60 years of the founding of the Faculty of Architecture at HKU. 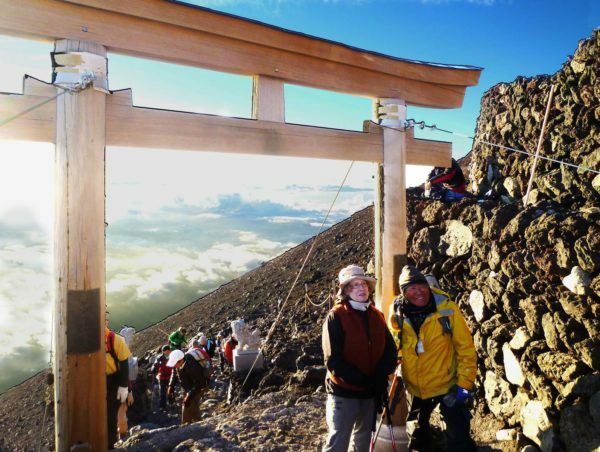 The Faculty has grown over the years from a single Department to a multi-disciplinary Faculty including: Architecture; Landscape Architecture; Urban Planning and Design; Housing Management; Real Estate and Construction; and Architectural Conservation. 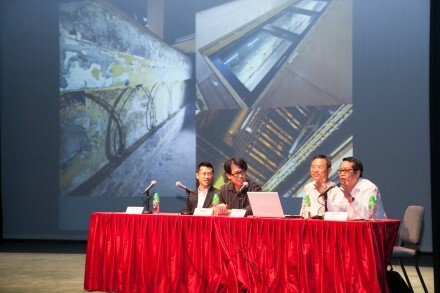 The development of the Faculty has paralleled the vibrant growth of Hong Kong, especially following World War II when it became clear that a new generation of first-rate architects and other building professionals were needed if Hong Kong was to adequately house its burgeoning population and develop into a world-class city. Hong Kong’s role as a global city has been fulfilled, and HKU Architecture graduates can take pride in having contributed significantly to the city’s dazzling skyline. 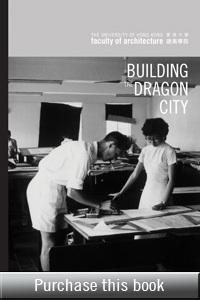 The history of the Faculty, Building the Dragon City: History of the Faculty of Architecture at The University of Hong Kong, makes it clear that the basic issues surrounding the education of building professionals have been vigorously debated for the last six decades and this has been reflected in the development of the Faculty. 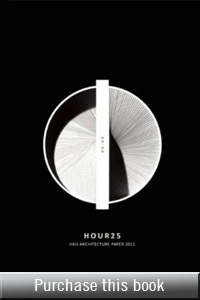 Hour 25 is the first volume of the HKU Architecture Papers, a student-edited series of annual publications chronicling the design work of the Department of Architecture at the University of Hong Kong. With an emphasis on process and critical reflection, the series provides a window into contemporary design education in Hong Kong. 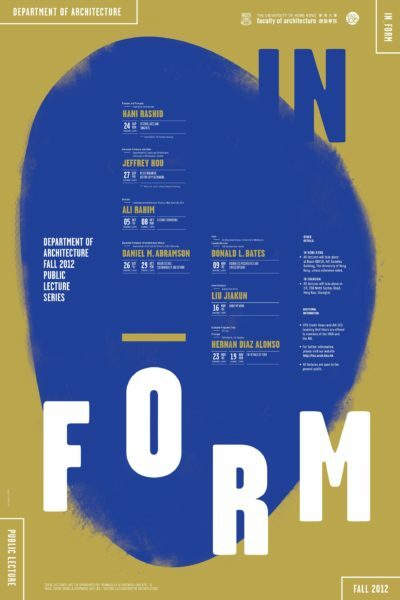 Initiated and edited by a group of architecture students at the University of Hong Kong, Hour 25 creates a platform for architectural discourse through highlights of the year’s best student works, critical essays from staff, reviews of programming, and a chronicle of the Department of Architecture. The 25th hour is a critical moment for architects: the space beyond the daily routine of 24 hours. It also exemplifies the struggle of architecture students: lack of sleep due to endless studio work. 24 hours a day is simply not sufficient. In response to overwhelming media saturation in the architectural field, which tends the pursue fashionable images but often suffers from a poverty of content, The HKU Architecture Yearbook actively engages the readers’ critical thinking towards the built environment locally and globally. Supported by the Department of Architecture but initiated and edited by students, the Yearbook is an authentic production of the next generation of leaders in the field, and a valuable commentary to a year of vigorous engagement in architectural discourse. Most consumer products come primarily from the Pearl River Delta, the “factory of the world” with the largest industrial region on earth. The delta has attracted millions of poor rural residents to settle in factory towns in hopes for a better life. 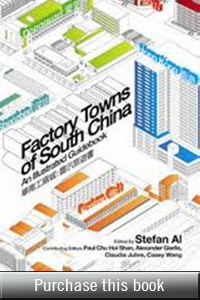 Factory Towns of South China opens a window on these walled compounds, exposing the gritty establishments, crowded dormitories and monotonous labor carried out by workers. Some function as self-contained cities, with their own fire brigade, hospital, bank, TV station and as many as half a million workers living within the compounds. Other factories are scattered in larger villages to mask their existence and evade governmental crackdowns on the production of fake consumer goods and illegal casino machines. Contributors include David Bray, Minnie Chan, Jia-Ching Chen, Paul Chu Hoi Shan, Eli Friedman, Claudia Juhre, Laurence Liauw, Paul Lin, Ting Shi, Casey Wang, Rex Wong, and Chun Yang.